What To Eat & What To Avoid If You Have Kidney Stones? Are you experiencing a sudden sharp pain in your abdomen or during urination? Does any blood pass through your urine? If you nodded along worriedly, then you might be suffering from kidney stones. Do not panic. Following certain care tips and proper diet can help you tackle this problem easily. So, you might be wondering what kidney stones are and how you can manage it with diet and care tips easily, aren’t you? Scroll down to learn all about it. Kidney stone is an extremely painful condition. Fortunately, kidney stones can be managed and prevented by following a proper diet. The most common type of kidney stones results due to too much calcium and oxalate in the urine. These minerals bind together as crystals, thereby forming the stones. Here are some dietary guidelines which can help to prevent kidney stones. Make sure you drink a plenty of healthy fluids, particularly water. Drinking water helps to flush out kidneys and dilute the stone-forming substances, thereby making stone less likely to develop. Drink at least 3 liters or 12 cups of fluid daily. Avoid strong black tea and orange juice, as these are high in oxalates. Avoid grapefruit juice, cranberry juice (if more than 500ml/day), and sugary drinks. Drinking large amounts of sugary drinks (soft drink and similar other drinks) can lead to a weight gain. Choose to have a diet or low sugar drinks to limit the weight gain. Lemon juice is a good source of citrate, which helps to prevent the formation of kidney stones. Drink 100ml of lemon juice daily (by adding it to water). The presence of high amounts of sodium in your body may promote calcium build-up in your urine. So, make sure you avoid adding too much salt to your food. Also, examine the labels on the processed foods which you eat in order to check how much sodium they comprise. Do not eat foods which are high in sodium. Reducing oxalate in your diet helps in reducing oxalate in your urine. Limit intake of spinach, beetroot, eggplant, sweet potato, celery, nuts, peanut paste, strong black tea, orange juice, chocolate, berries, and dried figs. Many sources such as red meat, pork, chicken, poultry, fish, and other animal sources increase the amount of uric acid in your body, and this could lead to kidney stones. Besides this, a diet high in proteins also minimizes the levels of citrate, which is a chemical present in urine that helps in preventing the formation of kidney stones. If you are vulnerable to kidney stones, make sure you limit your daily consumption of animal proteins to minimum amounts. One of the most common diet mistakes which most individuals make when prone to stones is cutting down the intake of calcium-rich foods. A diet deficient in calcium lowers your nutrition levels. A diet which lacks sufficient amounts of calcium can cause oxalate levels to rise and lead to the kidney stones. To prevent this, make sure you have the right amount of calcium appropriate to your age. Eating foods rich in calcium & oxalate together helps oxalate to bind with calcium before it reaches your kidneys. So, make sure you consume adequate quantities of milk, cheese, and yogurt. Kidney stones are common. The best way to prevent kidney stones is to keep yourself hydrated and follow the necessary changes in your diet. 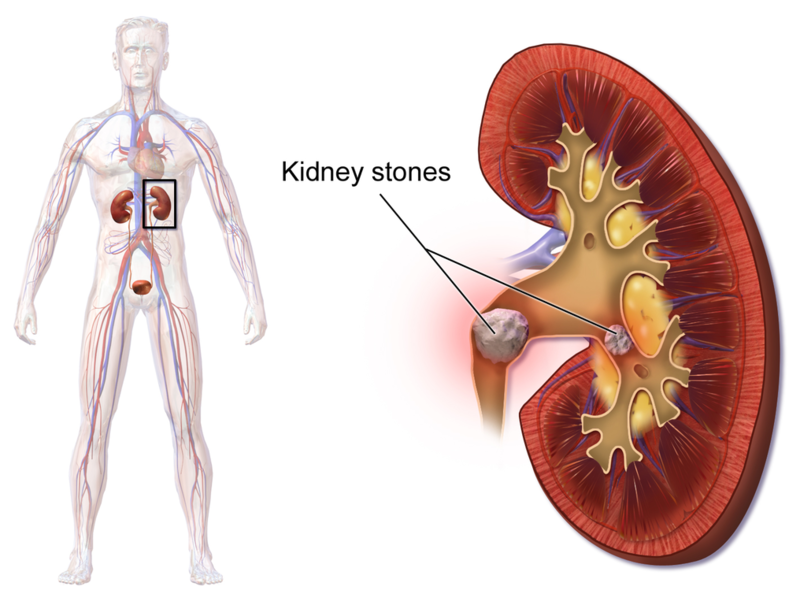 Is Homeopathy Useful In Treating The Discomfort Of Kidney Stones? Yes, homeopathy is indeed beneficial in promoting the passage of stones and easing the terrible agonizing pain caused by the same, provided the size of the stone is small. If stone-size is large or multiple stones are there or impacted, then the patient needs to be treated surgically. However, it is important to note that even post-surgical removal of the kidney stones; homeopathy medicines play a crucial role in preventing its recurrence. 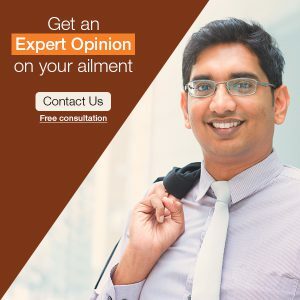 So, if any time you happen to suffer from kidney stones, choose homeopathic treatment without a second thought to obtain a great relief from it safely without any side-effects.